It was first rumored last year that the Galaxy S9 would be launched earlier than its predecessor. However, it’s common to hear such rumors whenever there’s a new Samsung flagship around the corner. Samsung ended up confirming earlier this month that it’s going to unveil the Galaxy S9 and the Galaxy S9+ at the Mobile World Congress 2018 in February, a full month earlier than the Galaxy S8. Many of you will be curious about what to expect from the Galaxy S9 given that it’s one of the most hotly anticipated Android flagships of 2018. Let’s take a look at what to expect in terms of specs, design, price and release date. Samsung introduced its “Infinity” design with the Galaxy S8 last year and brought it to the Galaxy Note 8 as well. Samsung has even incorporated some of those design elements into the new Galaxy A8 (2018). It goes to show that this design language is here to stay. Multiple reports and panel and case leaks have revealed that the Galaxy S9 and the Galaxy S9+ will be more or less identical to their predecessors as far as the display size and even the aspect ratio are concerned. The Galaxy S9 and Galaxy S9+ are likely going to retain the 5.8-inch and 6.2-inch panels of their predecessors with the 18.5:9 aspect ratio. 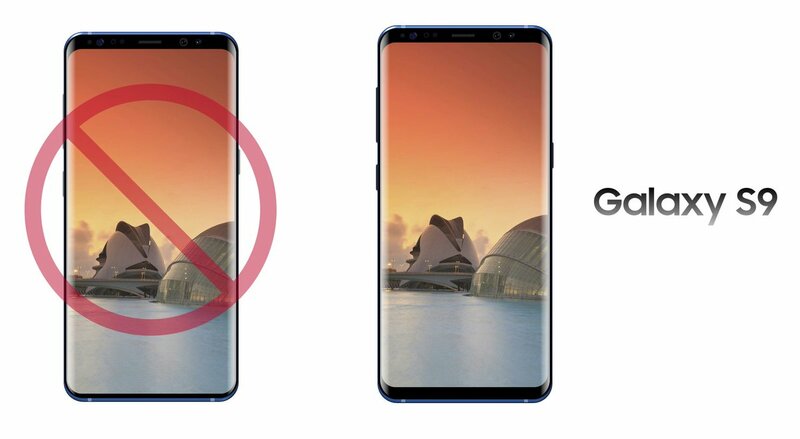 Samsung was rumored to be working on a Galaxy S9 with notably reduced front bezels and a screen-to-body ratio unlike what we’ve seen on any other device, but the company reportedly shelved the design because it failed to pass internal tests. This means that the only significant design change will be on the back of the device where the fingerprint sensor has been repositioned below the camera lens. The Galaxy S9+ will also receive a dual camera system at the back. That’s likely going to be the extent of design changes Samsung makes to its upcoming flagships unless new information to the contrary surfaces in the coming weeks. One can’t talk about what to expect from Galaxy S9 without considering the updated specs that this new flagship is going to offer. It goes without saying that it will be powered by Qualcomm’s Snapdragon 845 processor in markets like the United States and China. 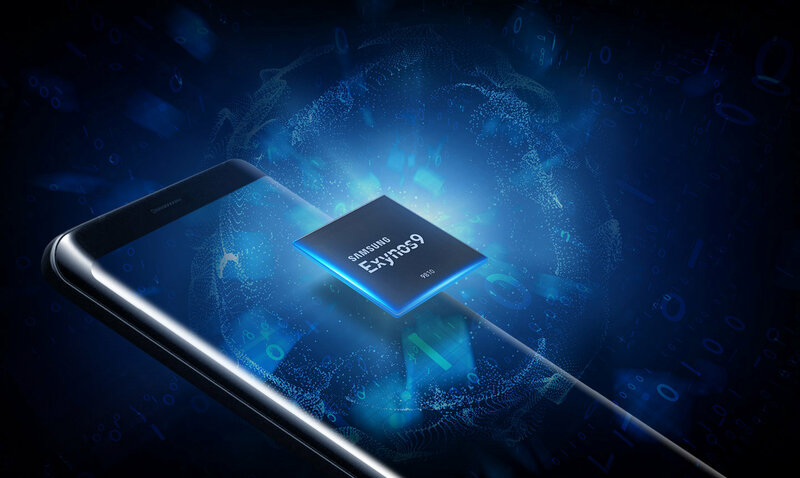 In all other markets, the Galaxy S9 and Galaxy S9+ will have the Samsung’s new Exynos 9810 octa-core processor with the Mali-G72 GPU and LTE Cat. 18 6CA modem under the hood. You can see more detail about both chips in our Snapdragon 845 vs Exynos 9810 specs comparison. We expect no less than 6GB of RAM in the Galaxy S9 and at least 64GB of storage in the base model. There have been no rumors as yet to suggest that Samsung is going to raise the base model’s internal storage beyond 64GB, although there’s a possibility the 5.8-inch variant will only have 4GB of RAM. We can also expect the handset to feature IP68 water and dust resistance, a USB Type-C port, a microSD card slot, wireless charging, Bluetooth 5.0, and possibly improved iris scanning/facial recognition technology. The camera is set to be the primary selling point for the Galaxy S9 and the Galaxy S9+, as Samsung says the camera has been reimagined for its upcoming flagship. The S9+ is expected to be the only model with a dual camera at the back, but the Galaxy S9’s single camera may have a few tricks up its sleeve as well. As we reported earlier, Samsung may have revealed the Galaxy S9’s camera details on its own website. It may have a 3-stack fast-read-out sensor enabling the handset to record slow-mo video at 480fps in 1080p Full HD. If it’s capable of doing that, then 720p at an impressive 960fps becomes possible as well. If this information is accurate, the Galaxy S9 will be one of the very few handsets on the market capable of doing this. It may also feature “Super PD” or Super Phase Detection autofocus. Samsung hasn’t revealed a lot of details about this, but it did mention that the autofocus speeds will be improved considerably. Some rumors also suggest the camera will have variable aperture that can go from F1.5 to F2.4, a feature that the company has already introduced on its newest flip phone flagship for the South Korean market. As for the Galaxy S9+’ dual camera, we can expect it to provide functionality similar to the Galaxy Note 8, which is Samsung’s first handset with a dual rear camera. The company may have made some improvements to the setup, and it will be interesting to see the kind of fine-tuning has done for the dual camera system. It was rumored at one point that the Galaxy S9 would have a slightly larger 3,200mAh battery compared to the Galaxy S8. However, a filing made with Brazil’s telecommunications regulator ANATEL by Samsung for its new flagship handsets reveals that those holding out for a battery capacity bump may end up being disappointed. The Galaxy S9 is likely going to have the same 3,000mAh battery as the Galaxy S8. If Samsung is sticking to the script, it means that the Galaxy S9+ will keep its predecessor’s 3,500mAh battery. Fast charging will also remain unchanged. Hopefully, the more power efficient internals and additional optimizations will result in battery life improvements, even if there’s no increase in battery capacity. You can put your money on the Galaxy S9 and the Galaxy S9+ launching with Android 8.0 Oreo out of the box. They’re going to be the first Samsung handsets to come with Oreo pre-installed. Samsung introduced the Samsung Experience UX version 8.1 with the Galaxy S8 last year. The upgraded version 8.5 was released with the Galaxy Note 8, and the Galaxy S9 will come with SE 9.0. Samsung recently teased that artificial intelligence is going to play a bigger role on the Galaxy S9; it’s even expected to have its own AI chip. 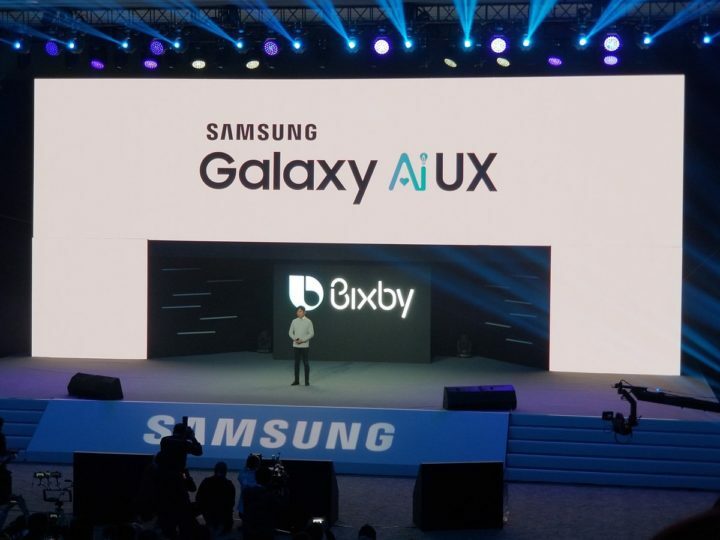 The company also teased during its Bixby Voice launch event in China late last year that the Galaxy S9 UX will likely be called the Galaxy Ai UX. If that’s accurate, we might see some new functionality baked on top of Oreo. Unfortunately, not a lot of information is available about that at this point in time. We can expect the device to retain features like facial recognition and iris scanning from its predecessor. Stereo AKG-tuned speakers are rumored as well, and the AKG-branded earphones that debuted on the Galaxy S8 are sure to come along for the ride. The Galaxy S9 will also provide PC-like functionality when paired with a new DeX pad that Samsung is expected to launch alongside the flagship. Samsung launched its Bixby personal assistant with the Galaxy S8 last year. The company feels that this feature is important enough to have its own hardware button on the device. Since the Galaxy Note 8 had it too, there’s no reason to believe that Samsung will decide against including a Bixby hardware button on the Galaxy S9. The S9 and S9+ are likely to have Bixby 2.0 out of the box, although there isn’t a lot of information available about what improvements we can expect other than the features introduced by the second-generation of the service. The artificial intelligence push suggests we will see Bixby offer something on the S9 that we haven’t seen before, but we’ll have to wait for more details to get a clear picture. Samsung has confirmed officially that it’s going to unveil the Galaxy S9 and the Galaxy S9+ on February 25 at the Mobile World Congress 2018 next month. It’s going to confirm at the event when pre-orders will begin and when it will start shipping the handset. The Galaxy S8 and Galaxy S8+ were unveiled on March 29 last year, and pre-orders were opened the very next day, with the handsets being released in several markets across the globe on April 21. Samsung will reportedly follow the same script for its new flagship handsets as well, opening pre-orders the very next day and releasing the device by mid-March. The Galaxy S8 and Galaxy S8+ cost 799 euro and 899 euro in Europe respectively. Customers in the United States paid $724.99 and $824.99 for the two handsets. We can expect the new flagships to cost around the same, if not more. With just over a month to go before Samsung officially unveils the Galaxy S9 and the Galaxy S9+, Samsung fans are excited. By now you have a good idea of what to expect from Galaxy S9, and we will keep updating this post if and when more information surfaces. Let us know in the comments below what you’re most excited about seeing in the Galaxy S9 and the Galaxy S9+. The S9 is just marketing and one little step to do.. that´s it!! …the real improve will be Galaxy S10… in the past was the same with S4 & S5 ..S6 was an experiment, S7 more solid rock.. S8 great design + firm step.. now S9 a little better.. the Galaxy S10 ..pppff!! prepare yourself!! I think people are overreacting a bit. I have the s8 and love the design. Even te FP sensor placement have grown on me. Battery lasting long enough and the device performs good! I will def. Go for the s9+ now tho. with even better components inside, better FP sensor placement and a bigger battery for me since i have the s8 now. The camera reimagined, I think they’ll be more of an AR focus on it this year. and happy to see much needed improvements in slow motion video recording. Even 4K at 60fps would be a welcome addition. Sincerely hope they drop wireless charging as a selling point – last year they spent way too long talking about it, it wasn’t even faster or anything. Not really, better SoC with AI on board and as stated a, better camera. Plus other stuff I’m sure that hasn’t been shown yet. I hope they put 6gb of ram on both phones. The new cameras will be very interesting and now that I use Bixby regularly I hope Bixby 2.0 when it comes to my Note8 improves the web search function.